Knead CATffeine is a magical place, filled with adorable cats and kittens who are patiently waiting for their forever homes. 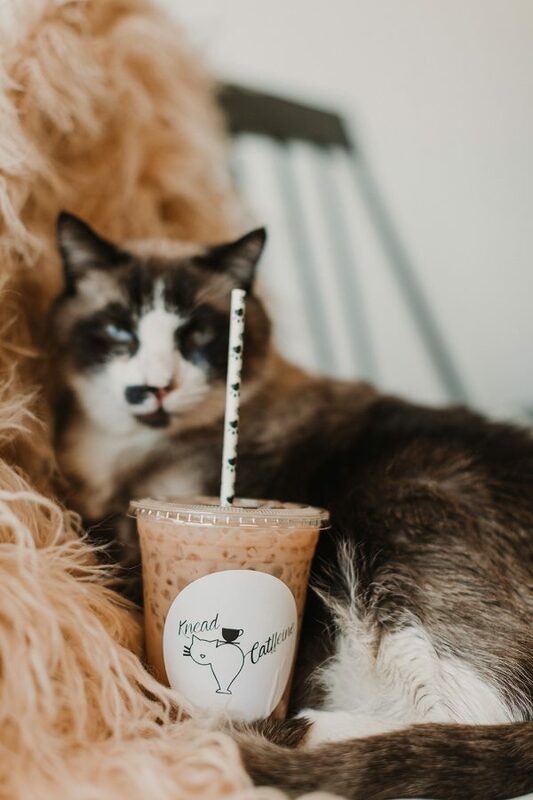 You can come in, order a caffeinated (or non-caffeinated) beverage, play with our cats, cuddle them, take selfies, and adopt them! 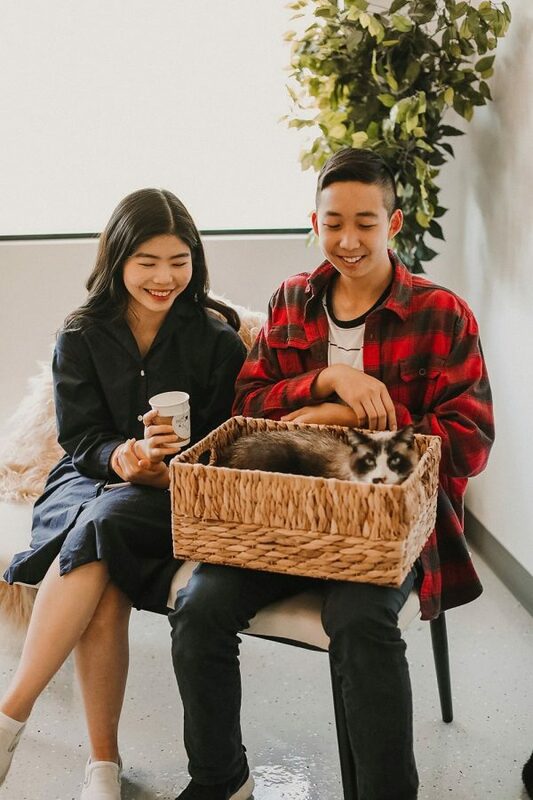 We have created a space for you to do your homework, read a book or answer emails, all while surrounding yourself with the joy of a feline friend. 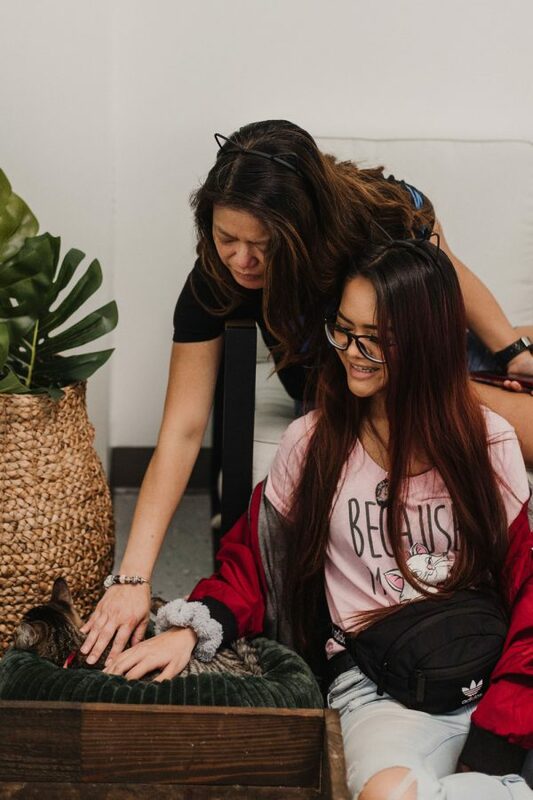 There is no time limit with our cats, you can stay for 15 minutes, or hang out and work all day! We offer walk in visits, as space permits. *all of our cats are rescued from local high-kill shelters and are in the direct care of Priceless Pet Rescue.